Aspen has extensive experience in air quality impact assessment, greenhouse gas (GHG) emissions analyses, and climate change. Our experience includes routinely preparing air quality and climate change impact analyses and emissions inventories. 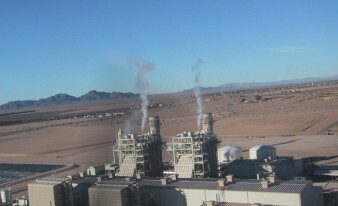 Air quality analyses completed by Aspen staff include CEQA/NEPA analyses for large and complex infrastructure projects, such as power plants, pipelines, and transmission lines; rapid transit, airport, and marine port projects; large industrial sources; land development projects; and smaller infrastructure and capital improvement projects. Services include emissions estimation, air dispersion modeling, health risk assessments, stationary source permitting, and compliance audit evaluations during project construction and operation. Air quality assessments for industrial and land use development require a keen understanding of the emission sources, viable control strategies, and the science and art of realistically modeling emission and emissions impacts. Mitigation must also be considered and balanced to protect the environment and ensure regulatory compliance. Aspen personnel have decades of combined experience providing air quality and related services for a wide range of projects and clients, and Aspen staff has also provided air quality and related services training sessions for State of California and federal regulatory agency staff. Aspen works on the leading edge of climate change and assessment of greenhouse gases. We assist the staff of energy agencies in California in developing methodologies for GHG and climate change assessment under CEQA. Our recent project work includes assessments for large power plants, transmission lines, grain and other bulk material seaport transloading facilities, and a geologic carbon sequestration project. Aspen assists energy agencies, siting authorities, and project proponents in the study of air quality (AQ) and greenhouse gas (GHG) emissions, and impact analyses for power generating facilities.